Liesl Laurie is ready to win your votes! 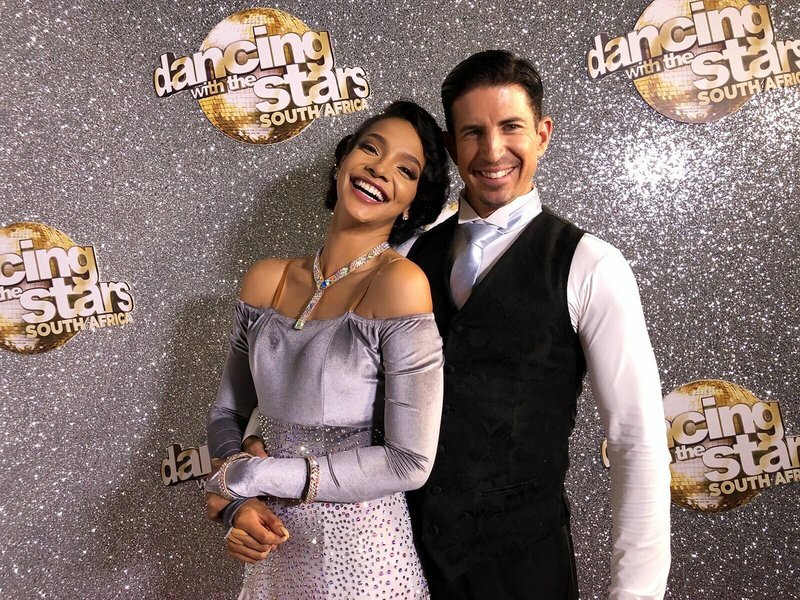 Breakfast show traffic presenter, Liesl Laurie, will be taking to the dance floor on 'Dancing with the Stars South Africa' once again this Sunday - and we cannot wait! South Africans have been glued to their television screens ever since 'Dancing with the Stars South Africa' debuted. Twelve celebrities, along with their highly-talented dance partners, dance for your votes each week by performing a fiery dance routine. Last week, our very own Liesl Laurie danced her heart out and performed a stunning Waltz routine, despite having a cracked rib. This week's routine is yet to be revealed, but if rehearsal is anything to go by, it's going to be spectacular! We cannot wait for this week's routine! We need you to join us and rally behind our Liesl Laurie. You can register to vote on the DWTSSA website - mnet.tv/dwtssavote. Click on Register and enter your cellphone number in the international format e.g. +27731234567 and your preferred password. Once registered, you will be able to vote during the show. Voting is free but data costs (as per your ISP) apply.